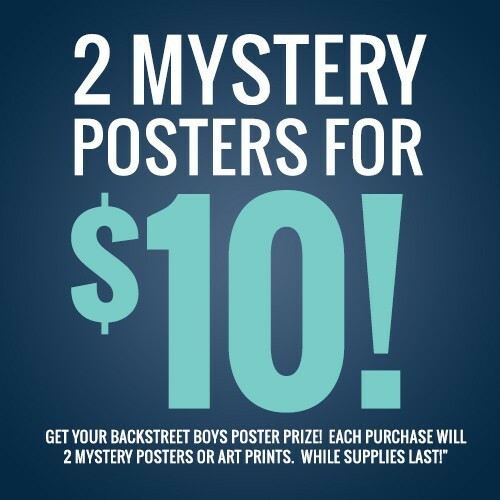 Get your Backstreet Boys poster pack! Each purchase will receive two mystery posters or art prints. While supplies last! Please note: *No refunds, exchanges or returns on promotional items.